Louis Barabbas is working with a group of artists from Brazil, India, Uganda and Nepal as part of a project set up by Un-Convention and In Place Of War, to be performed at UK festivals this summer. What is now being called “The Revolution Band” has been rearranging songs by The Bedlam Six and others. The first performance will be at Shambala this weekend. 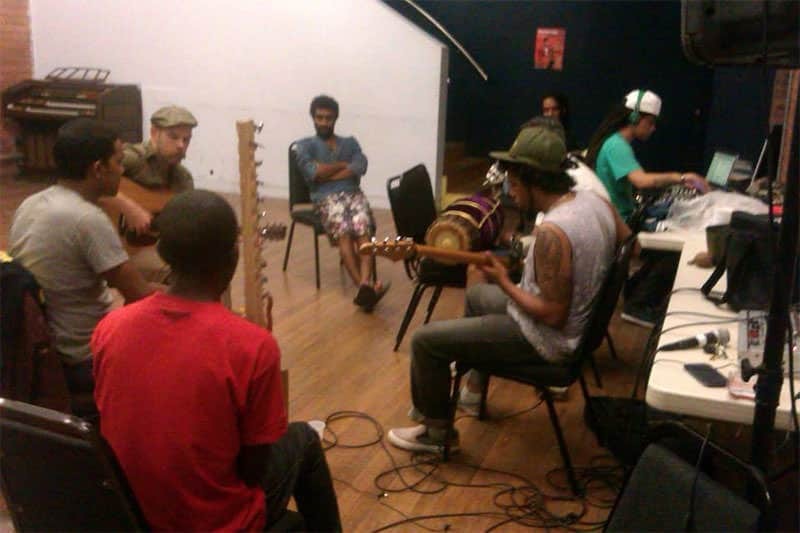 Artists include members of OS Nelsons, Joel Sebrunko, Kiran Nepali and Vivek Rajagopalan. In Place Of War (IPOW) is a project based within the University of Manchester that researches creativity in sites of armed conflict and has, over the past seven years, developed extensive international networks of artists and creatives making theatre, street art, music, spoken word and more in response to war.